Mostly Books bookshop in Abingdon : Have we read them all? No. Have we read them all? No. I am beginning to recognise a look on some customers' faces. It comes when you recommend a book they might like and they fix you with a cobra-like gaze 'Have you read it?' they want to know. And if you confess that, actually, no, you haven't read it yet, they give a superior, sort of knowing smirk that tells you they're thinking 'Call yourself a bookseller'. Which is tricky, really, because, let's face it, you might have a pretty darn good idea of what's in all the books, but you can't read everything. And you sure can't like everything. Mark and I think ourselves pretty lucky as we like utterly different books, which means I can leave all the dull stuff to him. 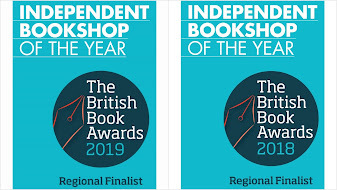 The release of the Booker longlist, once again, has created that feeling in me that far from being a reasonably prolific reader who enjoys keeping up with the latest fads and disasters in the bookworld, actually I have been living on another planet. In fact I'm sure part of the whole point of the booker long list is some private pleasure of the judges, who only live for that moment when they can fix some poor sap with a cobra-like gaze ask 'Have you read it?' and deliver a superior, sort of knowing smirk that tells you they're thinking 'Call yourself a booklover'. Which brings me on to something we've been meaning to do for absolutely ages - update the links on our blog. Since we started the blog, I think it is safe to say we now read very different blogs and probably have some very different aims in what we hope the blog might achieve. So, most importantly, we have given a long overdue update to the list of the blogs we read. There are plenty around that are great for delving into and finding unread or unheard of books we think we might like to read. We've also still got a few to add, but, as ever, Sunday night came around with a list of jobs still to do and no hours left in the week. 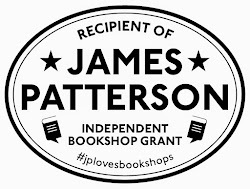 And we heartily recommend going to look (at least) at the blogs of some favourite booksellers - if not visiting the shops themselves if you get half a chance. And wonderful reviewers like dovegreyreader are (bless her) going to attempt to read the entire booker long list. And she has links to other people attempting the same and offering reviews. Go take a look. It's going well so far and this year's list is flagging up some great reading. Whether I get to the end before the shortlist is announced is another matter, Kalooki Nights slowed me to a crawl it was so good, a book that refuses to be rushed. I saw that 1001 Books You Must Read thing in *cough* Wstones the other day and decided, being a bit of a nerd, to count how many of the 1001 I'd read. Now, I consider myself to be quite well read for my 29 years, but I'd only actually read (i.e. all the pages and most of the words) 176 of the 1001 books listed. But, in support of your point, I could tell you quite a lot, without have read them, about roughly three times that many, bringing my total coverage of the 1001 up to ~650. Have you read Orwell's essay on his days as a bookseller? If not, it's still absolutely spot-on about bookselling, seventy years after it was written.